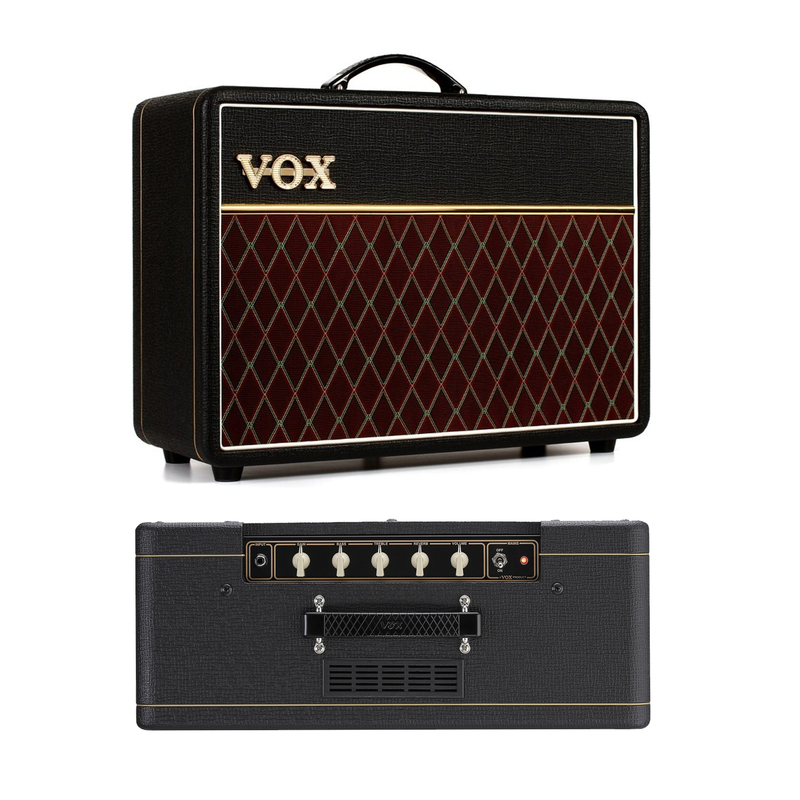 Get iconic Top Boost tone in a compact, all-tube package with the Vox AC10C1 guitar amplifier combo. This all-tube 10-watt combo gives you classic Vox tones through a custom Celestion 10" speaker. Volume, treble, bass, reverb, and gain controls let you dial in everything from clean to crunch with definite Vox style. Volume and gain controls let you dial in everything from clean, chimey, classic Vox to serious overdrive - and everything in between. If you want a punchy and touch-responsive British tube combo, the Vox AC10C1 is it.